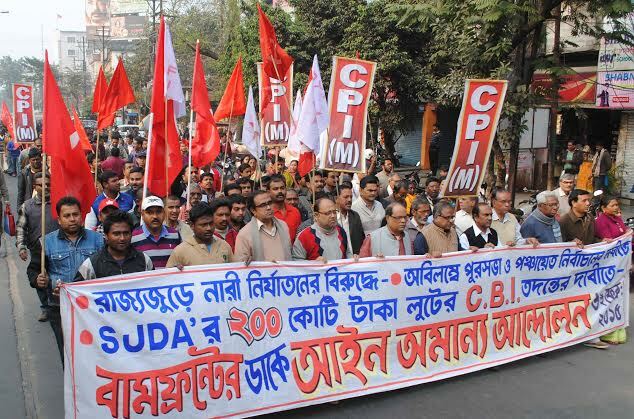 Breaking all previous records, the CPI(M) retained the 39 Manu (ST) assembly constituency in Tripura. The bye-elections held on 13th September were necessitated by the seat being vacated by Jitendra Choudary since his election to the Lok Sabha. Around 87.51 per cent of the electorate had cast their votes. 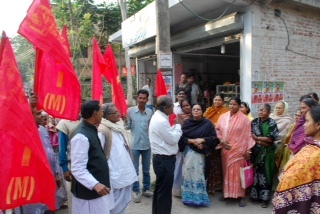 CPI(M) candidate Prabhat Choudhury defeated his nearest INC candidate Mailafru Mog by a huge margin of 15,971 votes. 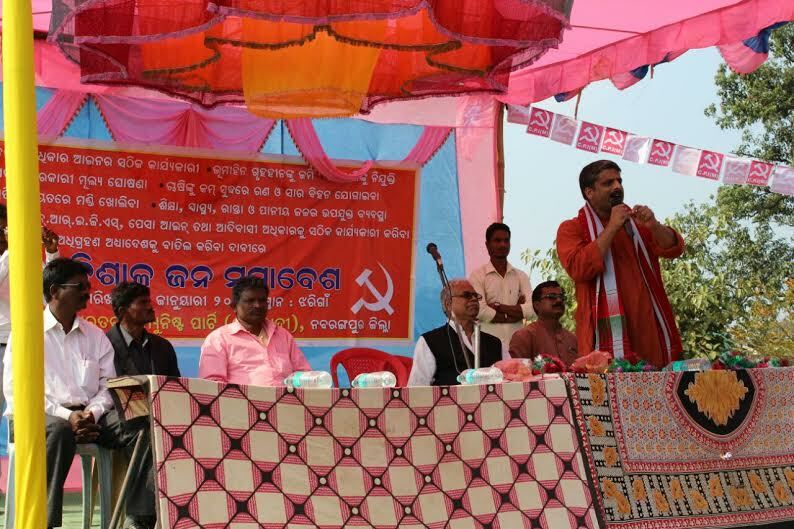 Prabhat Choudhury a young officer of the state agriculture department had resigned to contest the seat. 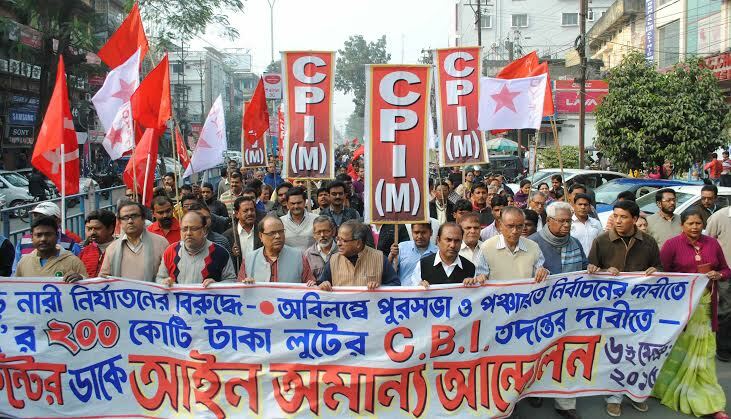 The CPI(M) candidate polled 21759 votes, while the INC got 5788 votes and the IPFT came third with 3018 votes. BJP, TMC and INPT got 1550, 1110 and 432 votes respectively. Barring INC all the other four contestants lost their deposits. 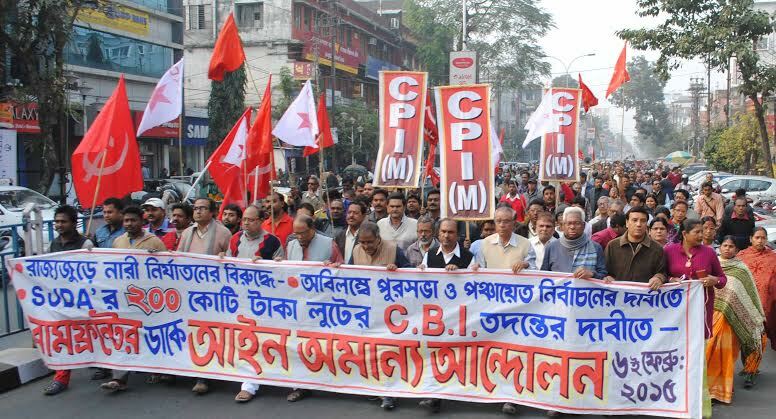 CPI(M) candidate got a whopping 63.9% of the valid and cast votes, which is 5.8% more than what party had got in the assembly election of 2013. As soon as results were declared spontaneous victory celebrations were there across the assembly constituency. 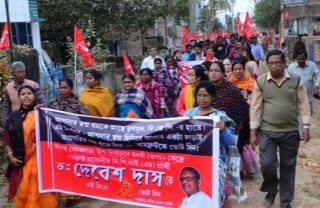 A colourful rally marched from the counting hall of SDM office to CPI(M) Sabroom Sub divisional committee office. 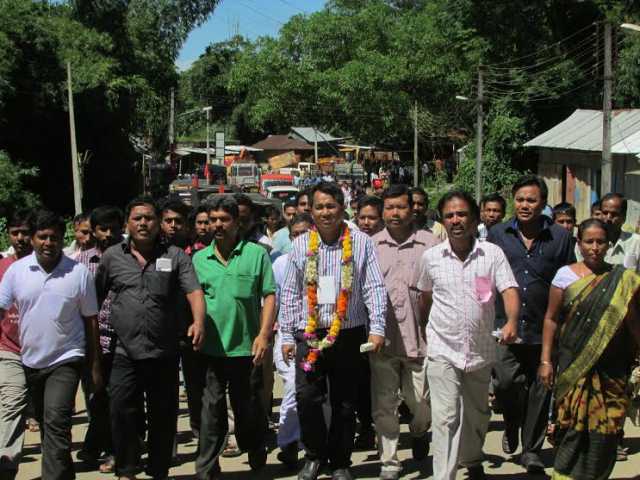 In the last assembly election Jitendra Choudhury had defeated his nearest INC candidate by a margin of 6896 votes. 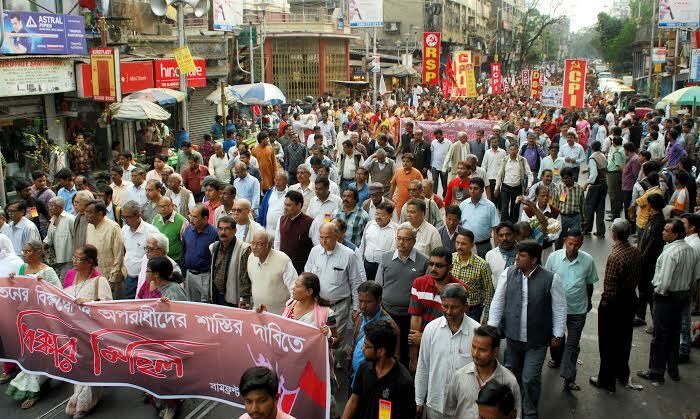 CPI(M) Tripura state secretariat in a statement extended its warm congratulations to the voters and the party and LF workers and supporters. 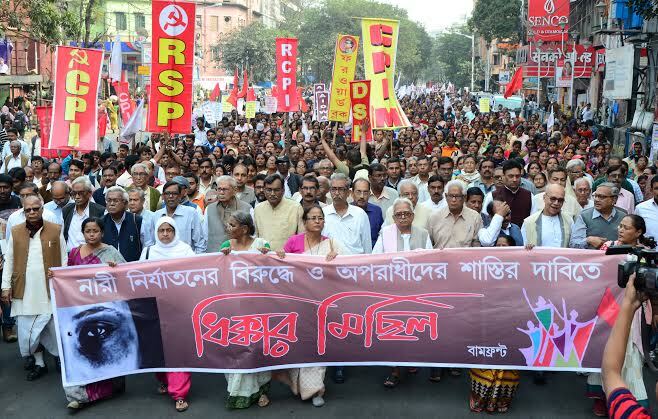 The state secretariat said that prior to the elections anti-Left political parties and the media had launched an organised attack on the Left Front and the party. 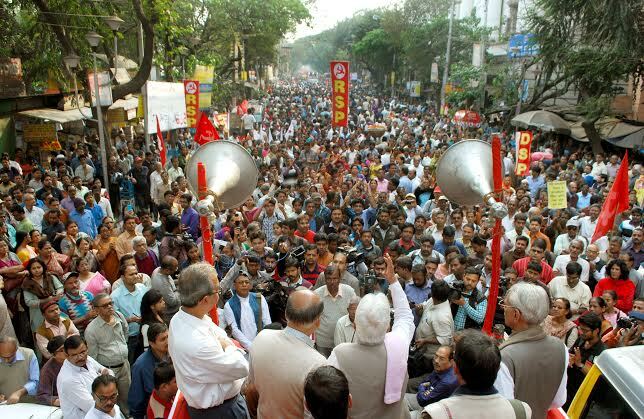 Their campaign of falsehood and slander were not limited to party alone but they made personal attacks against the Left Front candidate. The Secretariat expressed satisfaction that the voters have rejected these forces outrightly. The statement added that with the IPFT losing its deposit, it has also become clear that the misleading and divisive campaign for a separate state has also failed to delude the voters.